Girl Rising is a group of middle school students who believe that change toward gender equality must begin with education. Once a girl is educated, she can say no to child marriage, say no to being held back, and say yes to her dreams. 65 million girls in underdeveloped countries are not in school. It may be too dangerous or too expensive, or against tradition, or they may have to work instead. In a world where freedom hinges on literacy, these girls have all of their basic human rights taken away. We are raising funds for scholarships so that these girls can be in a classroom. We also want more people to understand the game-changing potential of girls' education. The Rhoades School Girl Rising Club plans bake sales, speaker events, online fundraisers, and our yearly bazaar to further our mission. We are currently sponsoring girls through three organizations: She's the First, Save the Children and Casa de Amistad. She's the First empowers girls in developing countries by supporting their education through graduation. This year our Girl Rising Club is sponsoring Stellah in South Sudan and Ruth in Peru. Last year we sponsored Akon and she graduated! Our sponsorships provide Ruth and Stellah with tuition, housing, uniforms, books, health care and mentoring. These girls will be the first women in their families to receive a full education. Meet Akon from South Sudan! She was born in Makuach Payam. She lives with her mother who did not have the chance to go to school. Akon likes commerce, accounting, biology, physics, mathematics, chemistry, and agriculture. She wants to be a doctor to help needy people especially pregnant women. Akon is in her second year of secondary school and is excited about completing form two exams. She's looking forward to one more year in high school when she is promoted to form three. Project Education South Sudan started its Saturday Student Gatherings for She’s the First Scholars, including Akon, so that they can build relationships, broaden their knowledge of women’s leadership roles, and learn about the opportunities within their own communities. They’ve also launched an after-school tutoring program to support scholars with their studies. Meet Ruth at the Sacred Valley Project in Peru! She is from Parcco, where she lives with her mother Zaida, her father Romulo, and her younger brother. Ruth is in her first year of high school. She currently lives in a dorm, and she is having a lot of fun! When Ruth is at school, she loves to study communications. In her free time, she likes to play soccer and volleyball! Of her ultimate dream, Ruth says: "I want to be a professional, and I will do my best to achieve my goal.” Ruth and the She’s the First Scholars at Sacred Valley Project are looking forward to the completion of a new dorm and education center. Sacred Valley Project has also started their Open Doors Initiative which expands programming to non-boarding, indigenous young women who will receive academic support. Meet Stellah from South Sudan. She is in the 9th grade at Greenbelt Academy Secondary School. She says her school has strong and supportive teachers. Stellah is proud of her improvement in school and she is working hard to keep up her good grades. Stellah recently wrote to us about the representation of women in her community. She wrote, "Mostly in Bor, women need to be recognized in the communities because men don’t understand what women are saying. Their voices of concern and support need to be considered so they do not consider women as weak. Nowadays we need to treat people equally because women are also educated and they don’t fear to express themselves in front of everyone. Not only that but also at the community level and in national government level, the voice of women should not be oppressed by male leaders." Meet Angela from the Philippines. Angela is 10 years old. She speaks Tagalog and is in elementary school. Angela wants to be a chef when she grows up. Angela lives near Manila, the capital. 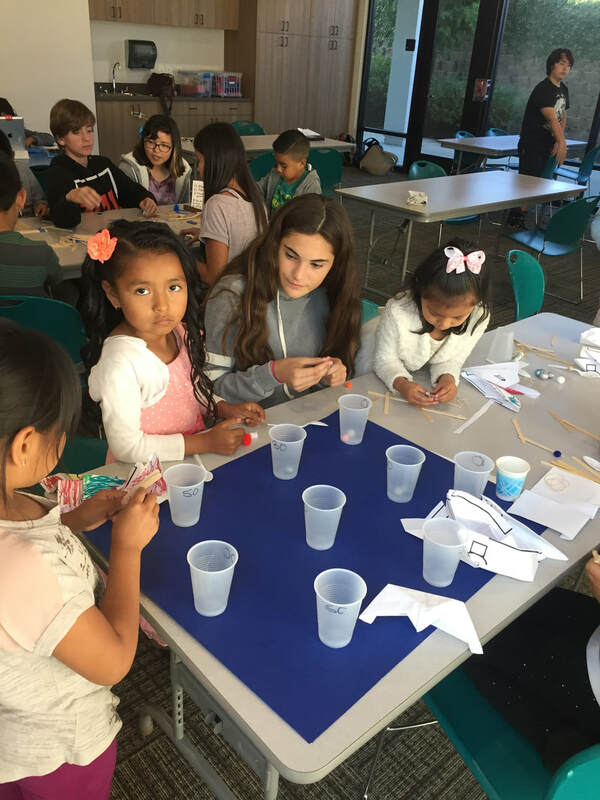 Girl Rising sponsors two students at Casa de Amistad, an after school tutoring program for students in Solana Beach and Encinitas. 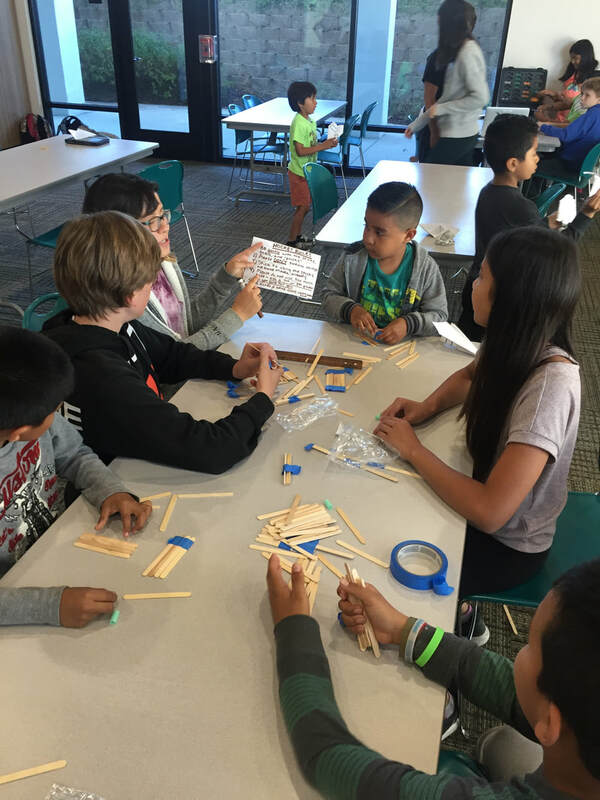 Rhoades middle school students volunteer once a month at Casa in the Technology Club. Casa de Amistad is dedicated to fostering the education and character development of underserved children, teens and their families.